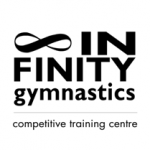 Position: Competitive TRA/DMT & TUM coach – 12-17 hrs/week + admininstration. Can be combined with Recreational hours and recreational for a qualified applicant. Relocation bonus available.